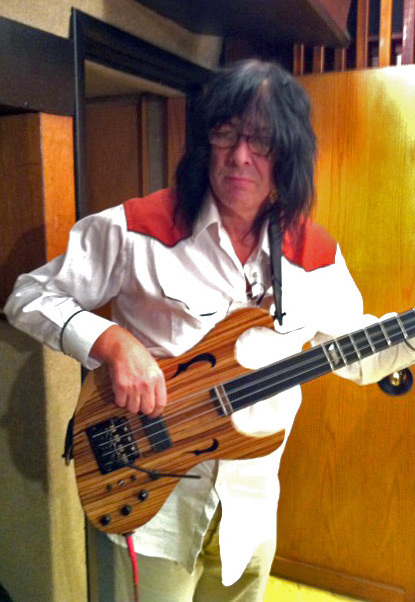 Andy Johns attended The King’s School, Gloucester, England in the mid to late 1960s. Before his nineteenth birthday, he was working as Eddie Kramer’s second engineer on recordings by Jimi Hendrix and many others. In a career spanning more than forty years, he engineered or produced records by artists ranging from Led Zeppelin and The Rolling Stones to Van Halen and Rod Stewart, whose sales total in excess of 160 million copies. 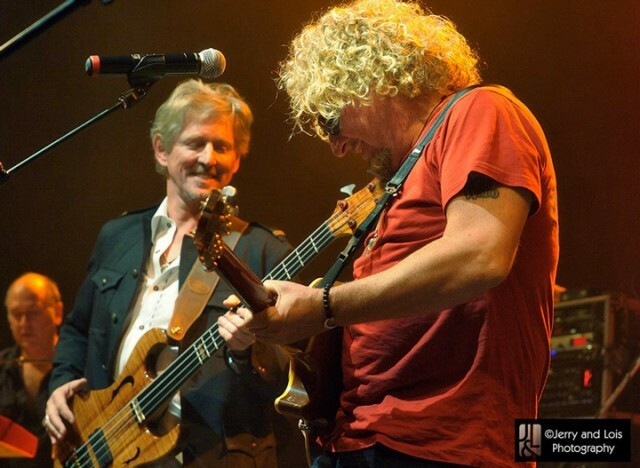 Bernt Bodal on stage playing his Fretted/Less Chambered MIDI bass with Sammy Hagar. 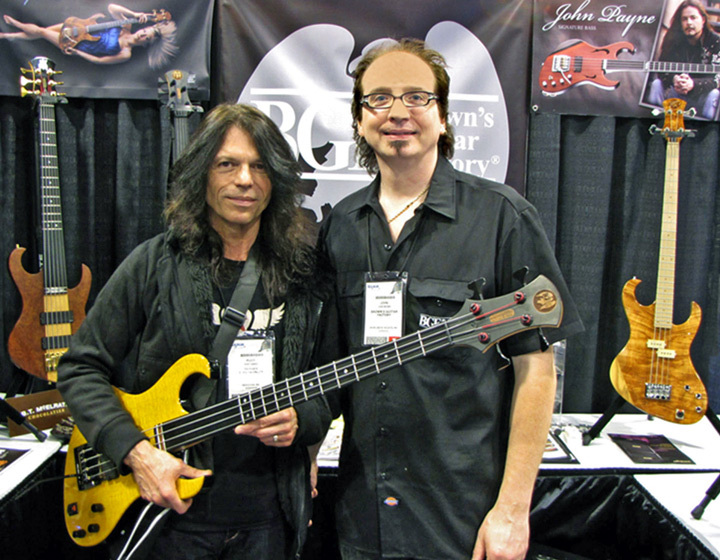 Rudy Sarzo is one of rock’s prolific bass players. Having played with Ozzy, Quiet Riot, Whitesnake, Yngwie Malmsteen, Blue Oyster Cult and DIO. John Payne provided backing vocals on several solo albums by Roger Daltrey of The Who, including Under a Raging Moon (1985) and Can’t Wait to See the Movie (1987). John became the frontman of Asia in 1992 at the invitation of founding member Geoff Downes, replacing vocalist/bassist John Wetton. During Payne’s tenure, ASIA released 8 studio albums, several live albums and toured internationally. Asia Featuring John Payne debuted in 2007 with Payne on vocals/bass, Guthrie Govan on guitar, Erik Norlander on keyboards and Jay Schellen on drums. 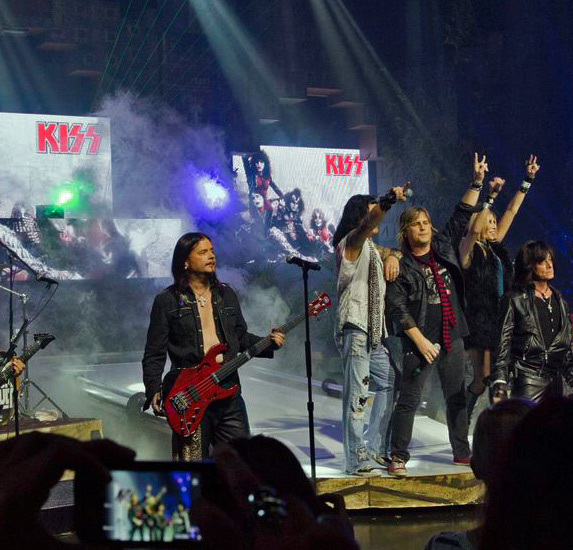 John Payne and Grammy Award-winning producer David Kirshenbaum are the co-writers of the current Las Vegas production “Raiding the Rock Vault”. Leland Sklar is an American musician and film score composer. 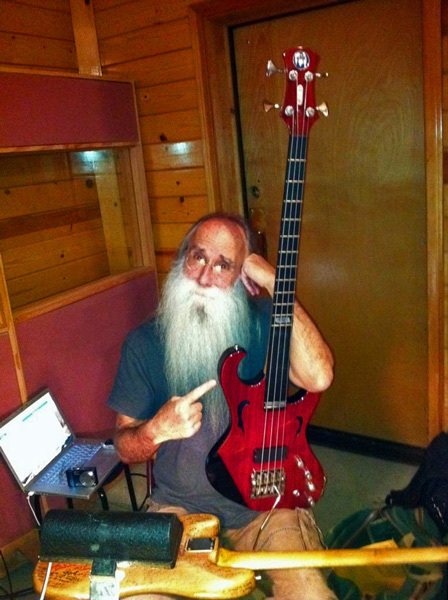 A prominent electric bassist, Sklar has contributed to over 2,000 albums as a session musician. He has collaborated with a number of well-known performers and recorded soundtracks to films and television shows.